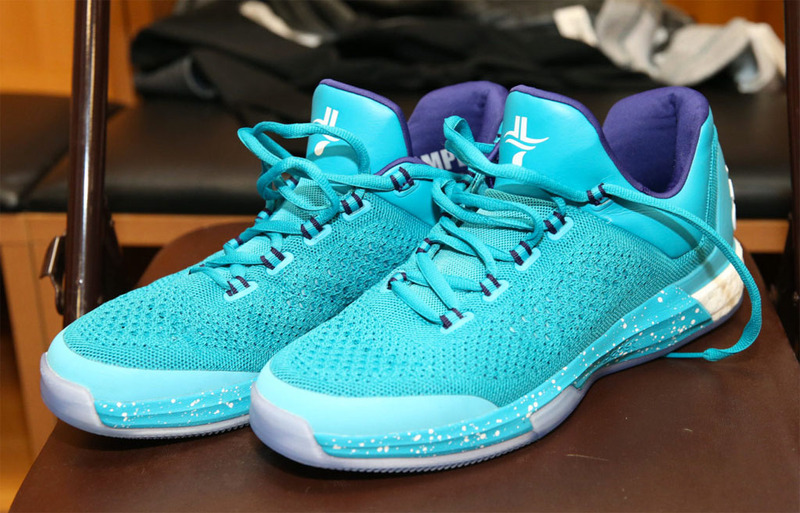 Adidas Crazylight Boost 2015 Jeremy Lin "Hornets"
With Jeremy Lin now reppin' Charlotte, Adidas was quick enough to equip him with their latest model in the Crazylight line in Hornets colorway. I must admit, that away color looks good if you are going to rock them on or off court. Teal with purple in the inner lining really give the shoe a nice touch. 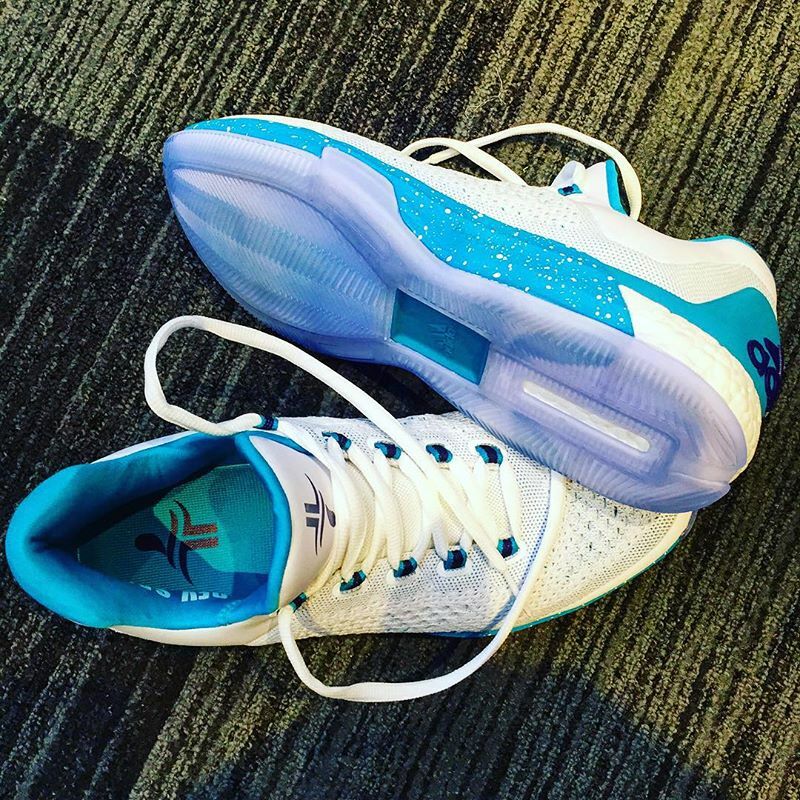 Jeremy Lin's logo in the tongue also gives an impression as if it is his signature shoe. The home colorway is just straight up basketball shoe, a very clean look because of the predominant white upper. Makes Jeremy Lin focus on defending home court, don't you think? Should these drop in stores, I'm sure many will cop this so just stay tuned to Analykix and we will surely update you if ever they drop in stores.